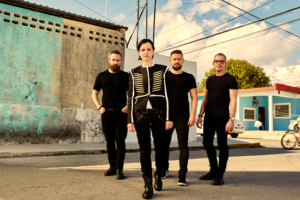 The Cranberries have released their last song featuring late vocalist Dolores O’Riordan titled “In The End“, which you can listen to below. O’Riordan died last year from accidental drowning. Her career with The Cranberries lasted from 1990 until they disband in 2003. They reunited in 2009. Her last album with the group is titled In The End and will be released on the 26th of April.